Ahmed M. EL-Gazzar, Khalid E. Ashry, Yasser S. El-Sayed. This study was designed to investigate the possibility of cadmium (Cd) to induce oxidative stress and biochemical perturbations in Nile tilapia liver and gills and the role of Vitamin C (Vit. C) in alleviating its toxic effects. Nile tilapia fish were randomly divided into four groups of thirteen each, group one served as control without any treatment, group two exposed to Cd (5mg/liter water), group three supplemented with vitamin C (Vit.C) (500mg/kg diet), and group four exposed to Cd plus Vit. C. The exposure to Cd caused increase in Liver aminotransferases (AST and ALT), elevation in lipid peroxidation (LPO), activity of catalase (CAT) enzyme, and the activity of glutathione S-transferase (GST). The urea and creatinine levels were not affected. However, reduction in the activity of glutathione peroxidase (GPx) was observed. An increase in reduced glutathione (GSH) content was also observed and in gills there were no significant changes in LPO, antioxidant enzymes activity and GSH level. Vit.C supplementation in Cd-induced oxidative stress of Nile tilapia maintained Liver AST and ALT near normal level and modulated LPO, CAT, GST, GPx and GSH level in liver. It is concluded that Vit.C scavenges reactive oxygen species and render a protective effect against Cd toxicity. Abdel-Tawwab, M., Shalaby, A. M. E., Ahmad, M. H. Khattab, Y. A. E. 2004. Effect of supplemental dietary L-ascorbic acid (Vitamin C) on mercury detoxication, physiological aspects and growth performance of Nile tilapia (Oreochromus niloticus L.). Annals of Agricult. Sci., 39, (2): 883-895. Atli, G, Canli, M. 2007. Enzymatic responses to metal exposures in a freshwater fish Oreochromis niloticus, Comp. Biochem. Physiol. C: 145: 282-287. Brake, I. 1997. Immune status role of vitamins. Feed Mix. 5(1): 21-24. Coa G, Booth SL, Sadowski JA, Prior RL. 1998. Increases in human lasma antioxidant capacity after consumption of controlled diets high in fruit and vegetables. Am. J. Clin. Nutr. 68: 1081- 87. Congleton, JL., La Voie, WJ. 2001. Comparison of blood chemistry values of samples collected from juvenile chinook salmon by three methods. J. Aqualt. Health 13:168-172. Ghazaly, K.S. 1994. Efficacy of ascorbic acid (vitamin C) on experimental copper intoxication in Tilapia zillii. Bull. Nat. Inst. Oceanogr. Fish. Egypt, 20(2): 249-257. Hansen, B.H., Romma, S., Garmo, O.A., Olsvik, P.A., Andersen, R.A. 2006. Antioxidative stress proteins and their gene expression in brown trout (Salmo trutta) from three rivers with different heavy metal levels. Comp. Biochem. Physiol. 143, 263-274. Heath, A.G., 1987. Water Pollution and Fish Physiology. CRC Press, Florida, USA, p. 245. Karmakar, R., Banerjee, A., Datta, S., Chatterjee, M., 1999. Influence of cadmium intoxication on hepatic lipid peroxidation, glutathione level, and glutathione S- transferase and gamma-glutamyl transpeptidase activities: Correlation with chromosome aberrations in bone marrow cells, J. Environ. Pathol. Tox. 18: 277-287. Halliwell, B. and Gutteridge, J.M.C. 1999. Free Radicals in Biology and Medicine, 3rd edn., Clarendon Press, Oxford. Habig, W. H., Pabst, M. J., Jakoby, W. B. (1974) J. Biol. Chem. 249, 7130-7139. Livingstone, DR. 2003. Oxidative stress in aquatic organisms in relation to pollution and aquaculture. Rev. Med. Vet. 154:427- 430. Lushchak, V., Lushchak, L.P., Mota, A.A., Hermes-Lima, M. 2001. Oxidative stress and antioxidant defences in goldfish Carassius auratus during anoxia and reoxygenation. Am J Physiol. Regul. Integr. Comp. Physiol. 280:100-107. May, M.J., Vernoux, T., Leaver, C., Montagu, M.V., InzÃ©, D. 1998. Glutathione homeostasis in plants: Implications for environmental sensing and plant development, J Exp. Bot. 49: 649-669. Monteiro, S.M., Mancera, J.M., FontaÃ­nhas- Fernandes, A. e Sousa, M. 2005. Copper induced alterations of biochemical parameters in the gill and plasma of Oreochromis niloticus. Comp. Biochem. Physiol., 141:375-383. Nriagu, J. O., H. K. T. Wong, G. Lawson & P. Daniel. 1998. Saturation of ecosystems with toxic metals in Sudbury basin, Ontario, Canada. Sci. Total Environ., 233: 99-117. &#1254;NER, M., ATLI, G., CANLI, M. 2008.Changes in serum biochemical parameters of freshwater fish Oreochromis Niloticus following prolonged metal (Ag, Cd, Cr, Cu, Zn) exposures. ENVIRON TOXICOL CHEM, Vol. 27, No. 2, pp. 360-366. Osman, HAM., Ibrahim, TB., Ali, AT., Derwa, HIM. 2009. Field application of humic acid against the effect of cadmium pollution on cultured Tilapia Oreochromis niloticus. World Appl Sci J 6:1569-1575. Pratap, H.B., Wendelaar Bonga, S.E., 1990. Effects of water-borne cadmium on plasma cortisol and glucose in the cichlid fish, Oreochromis mossambicus. Comp. Biochem. Physiol. C 95, 313-317. Shalaby, AM. 1997. 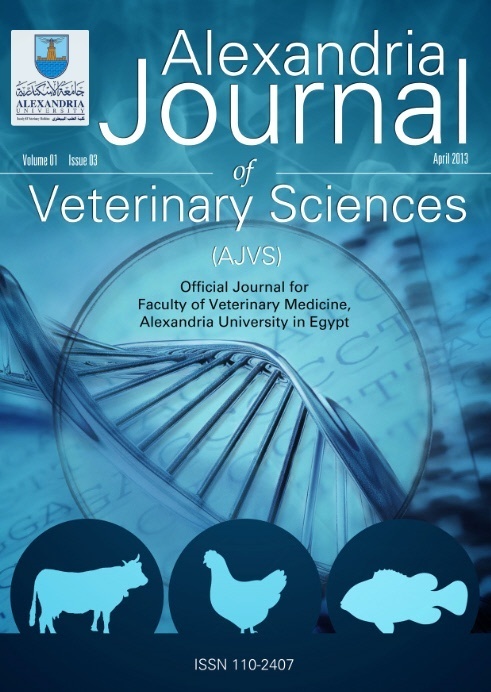 Biochemical and physiological studies on metal contamination in the common carp (Cyprinus carpio L), Zagazig University (Benha branch), p 268. Singh, S. and Rana, S.V.S. 2007. Amelioration of arsenic toxicity by L- Ascorbic acid in laboratory rat. J. Environ. Biol. 28(2) 377-384. U.S. Environmental Protection Agency, 2001, pp. Update of Ambient Water Quality Criteria for Cadmium. Washington, D. C., 1- 44. Tolbert, B. M. 1979. Ascorbic acid metabolism and physiological function. Int. J. Eit. Nutr. Res., 19: 127-142. Varanka, Z., Rojik, I., Varanka, I., NemcsÃ³k, J., Ã�brahÃ¡m, M. 2001. Biochemical and morphological changes in carp (Cyprinus carpio L.) liver following exposure to copper sulfate and tannic acid. Comp. Biochem. Physiol. C 128:467-478. Viarengo, A. 1989. Heavy metals in marine invertebrates: mechanisms of regulation and toxicity at the cellular level. CRC Critical Reviews in Aquatic Sciences, 1, 295-3 17. Zikic, RV., Stajn, S., Pavlovic, Z., Ognjanovic, BI., Saicic, ZS. 2001. Activities of superoxide dismutase and catalase in erytrocyte and plasma transaminases of goldfish (Carassius auratus gibelio Bloch.) exposed to cadmium. Physiol Res 50:105- 111. Environ Sci Pollut Res 2017; 24(30): 23636. Environ Sci Pollut Res 2016; 23(2): 1664. Environ Sci Pollut Res 2015; (): .